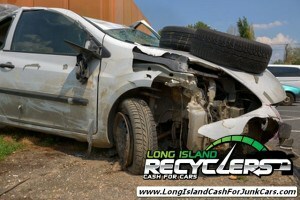 Junk car removal services have become the ideal option for car owners who want to get rid of their vehicles in the proper manner and profit from it too. While more and more people are using these services, there are still those who are hesitant because of misconceptions and myths that prevail to this day. Let’s clarify those facts. That is not true at all. Most junk car removal services don’t distinguish between car makes and models, and the majority are even willing to accept vans and SUV’s. Related to this myth is the one that says only car models with a good reputation for stability are acceptable. According to this line of thinking, these companies will pay more for cars with a reputation for reliability because they’ll be selling more spare parts. But this is not the case at all because these services base the amount they pay on a case to case basis. No matter what the reputation of a car manufacturer is, the junk car service will still check the condition of your car and base their decision on their findings. Looking at your old car, you may be thinking that it’s no longer worth anything. But there’s a lot more to this than just meets the eye because the real value of your car depends on many factors. A lot of cars that are deemed “totaled” often refers to the damage that was inflicted on the exterior: in a lot of cases the interior parts and engine are not damaged at all and can still be sold for a tidy sum. The point is while you cannot sell a junk car to consumers, you can still sell them to a junk car removal service and get paid hundreds of dollars or more depending on the condition of the parts. This myth states that you’ll be hard pressed to sell parts of popular car models because these services are already overflowing with these types. It’s true that cash for junk services are full of popular car makes and models, but that’s not the whole picture because these parts are very much in demand and therefore these services are always looking for them. The idea that it is going to be difficult to sell a popular or common car model is incorrect because these services are always looking for car parts that are easy and quick to sell. If you are selling a common car model, chances are the junk service will have an easier time finding a buyer for the working components inside. The emergence of these junk car removal services has made it easier for car owners to profit from their old cars, so rather than just discard the thing entirely, you now have the option of selling it and making some good money from it.